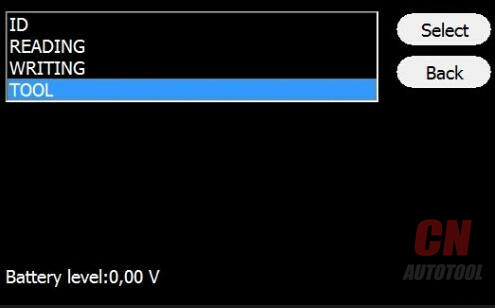 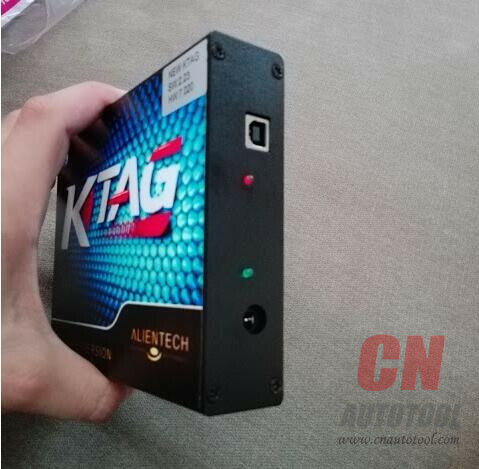 to do read/write Ford ECU EDC 17 with K-tag programmer from China. 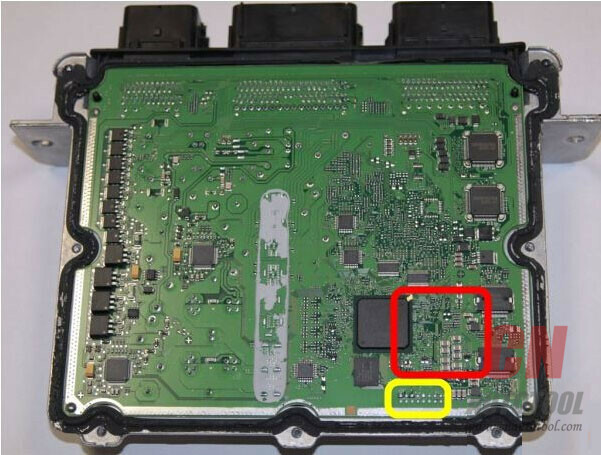 be done with great care and caution to avoid damaging the ECU beyond repair. 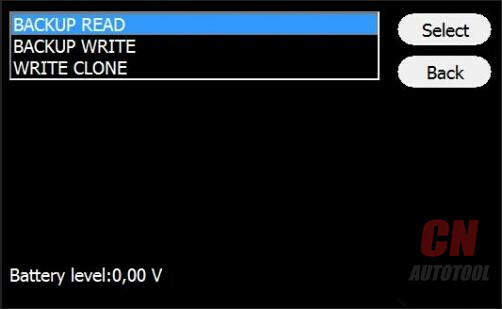 to reconnect the unit to the vehicle and start the engine, to make sure it still works. 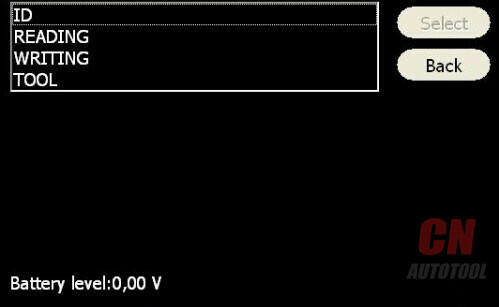 more wires to the programming pads. 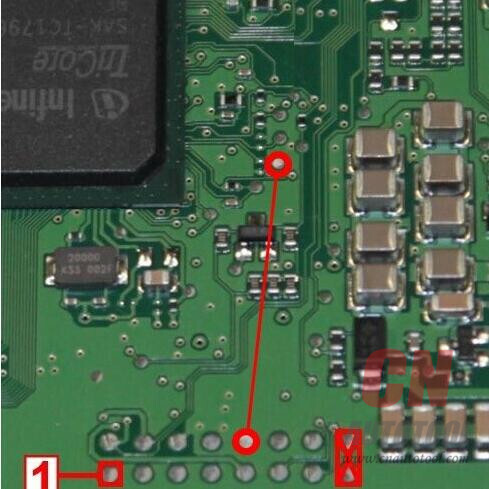 connections and soldering that do not comply with the instructions provided in this manual. 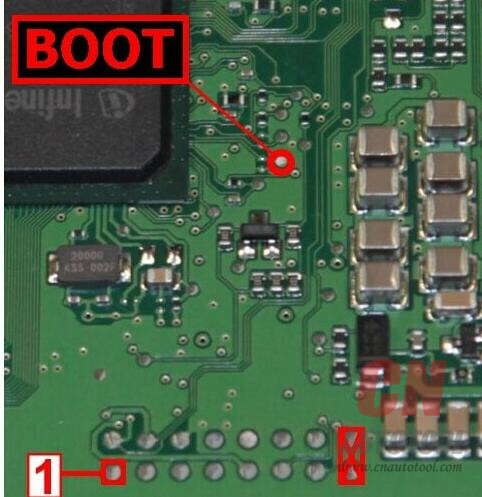 The pins Boot can be found on the right side of the ECU (in red in the picture). 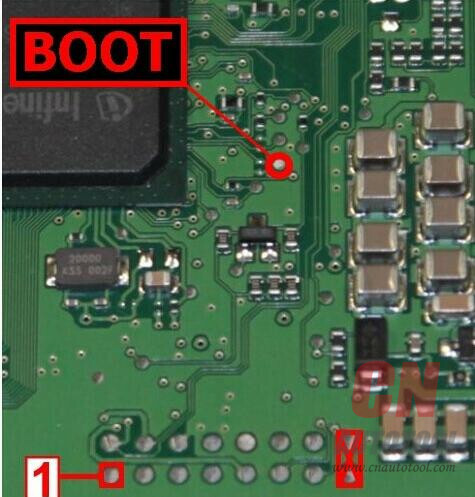 Place a programming probe 14P800ABD3 on pin Boot shown in the picture, and wedge it under the deck. 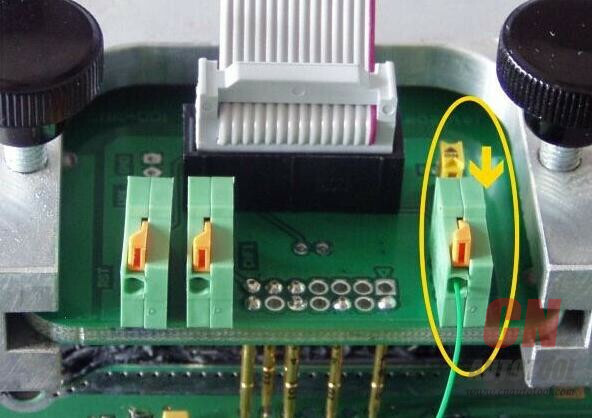 Connect the ribbon cable 14P600KT03 to the adapter and the Tricore module. 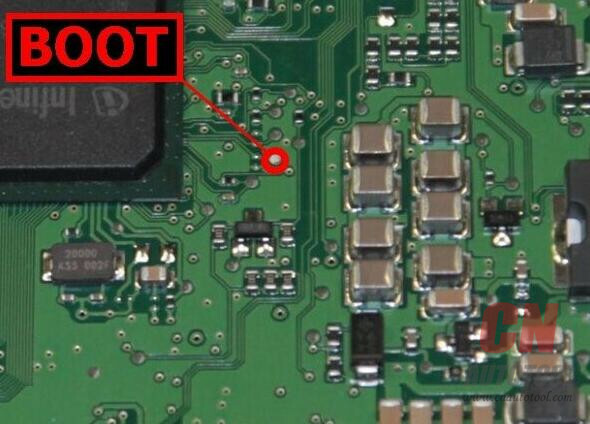 Solder a wire to pin Boot shown in the picture, and ease it into the BOOTD connector of the adapter. 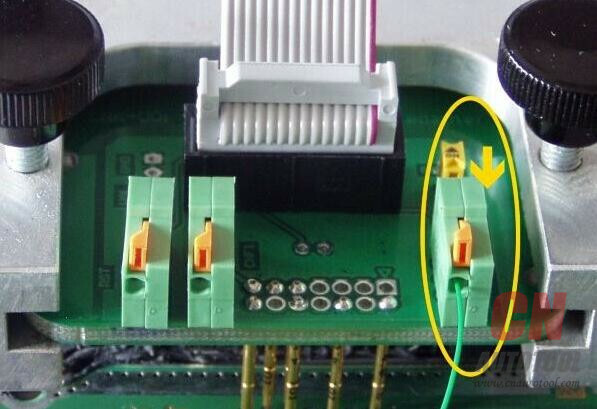 Remove the soldered wire before re-installing the Auto ECU Programmer on the vehicle. 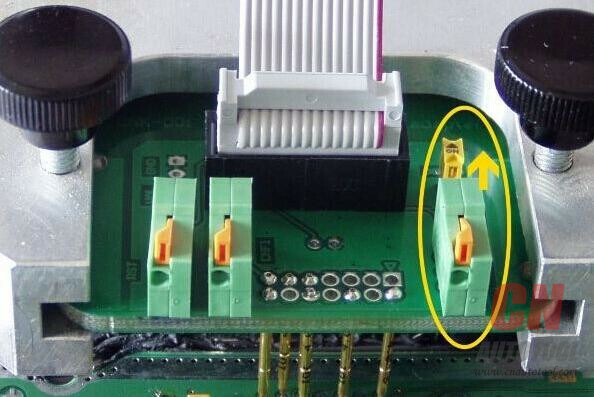 Pin 1 marked in the picture.